Carol Schleif is everything a role model for young professionals should be. With her dedication and go-getter attitude, Schleif has swiftly climbed the financial ladder to her current position as Deputy Chief Investment Officer at Abbot Downing; which was recognized as The Best National Private Asset Manager by Family Wealth Report Awards in 2016. But, where did her career in the financial industry start? While studying equestrian science at William Woods University with hopes to become a horse trainer, Schleif decided to explore other options and found herself fascinated with her economics and marketing classes. In ‘83 she had graduated in an impressive three years with two degrees: one being equestrian science, the other being business administration. She landed her first job as an Administrative Assistant with Edward D. Jones in Missouri. One of her more interesting duties for this position was clipping obituaries from local newspapers to prospect widows. “Not for me,” she decided. One thing Schleif did take away from this position was that when she had to make calls to the home office, she noticed, “The only people that ever knew what was going on were the folks in the research department.” So she decided to move home and pursue her interest in research departments. Schleif then almost immediately started her next job at Piper Jaffray as a Market Strategist and started working on her Chartered Financial Analyst designation right away. After three years of industrious dedication, she distinguishably passed her CFA exams in ‘86. 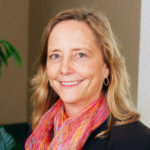 When it was time to move on from her position at Piper in ‘87, she went on to work various positions such as Vice President and Research Analyst for First Trust, Director of Research at John G. Kinard & Co., and ultimately recruited by Lowry Hill, Abbot Downing’s predecessor, and has been there ever since. Schleif strived to incorporate her interests in economics, writing and strategy into her various positions. Along the way, she also stressed the importance of a well-developed research department and the respect it could bring to the company. It is clear to see that with each position, Schleif both learned more about the industry and contributed to the betterment of each company. Where is Schleif currently at in her career and how was she been so successful? In addition to her passion, her merit has contributed greatly to her success. She distinguishably graduated as Valedictorian of her high school class and Salutatorian of her college class. Schleif also stresses the importance of reading. Every day, she reads a variety of material such as Psychology Today, The Financial Journal, local papers, and New York Times. Schleif describes herself as a planner and goal setter. She explained, “Every year I try to look at what I’ve done and what has worked and what hasn’t. Then, I try to get better.” She even sets her computer password to a goal or aspiration she has, so every day she is reminded of it. What has it been like to be a successful woman in the male-dominated financial industry, and what kind of advice does Schleif have for young women pursuing similar careers in investments? Schleif sees a substantial benefit of being a woman in the world of investments. She says, “We bring a whole different level of analysis and emotional intelligence, skills and perception.” Nowadays, with more and more companies focusing on cognitive diversity, it is important to have women bringing their strengths into the investment field. However, Schleif believes a significant reason why more women are not pursuing these types of careers is because there is not a “cool depiction” in the media of women in financial positions. She points out that the only fun female role in “The Wolf of Wall Street” is Margot Robbie in a bubble bath. What final advice does Schleif have for young professionals seeking jobs in the financial industry? As a mentor with CFA Society Minnesota, and a member of the Board of Trustees at the College of Saint Benedict, Schleif is passionate about helping young professionals get started in their careers. She has a lot of hope and sees considerable potential in these younger generations. 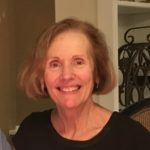 One of her favorite quotes is, “Long days, short years.” While approaching 35 years in the industry, she explains this as the perception that some days can feel never-ending, especially when clipping obituaries from newspapers. However, 35 years, several positions, multiple publications, three children, and three grandchildren later, the time surely does seems to fly. So, as Schleif has modeled, do what you love and what you are good at, and don’t forget to enjoy it along the way. Success will follow, as it has clearly done for her. Maria Vitale is a sophomore at the University of St. Thomas studying Economics and Political Science. She grew up in Stillwater, Minnesota and plans on pursuing careers in the financial industry upon graduating in 2020. Maria hopes to incorporate her passion for writing in any position that her career path may take her. I am originally from Nebraska, and went to the University of Nebraska-Lincoln majoring in finance. While there, I got a good taste for money management through a student-managed fund opportunity. I came to Minneapolis after graduation and started out at a small equity firm with 10 employees. After a year, the principals couldn’t agree on a philosophy and things fell apart leaving us young folks looking for new jobs. This brought me to what is now ING where I got familiar with fixed income I was hired as a trader, and moved into an analyst role making high yield corporate bond recommendations. That led to a portfolio manager role focused on insurance company portfolios. Because Minneapolis was such a great center for financial management, brokers would sponsor road shows – breakfast meetings to ask management questions, learn about companies and risks involved. I met folks at American Express and when they had an opportunity and knocked on my door, I had to say yes. It really propelled my career forward, and I spent the next 10 or so years there. Like many women at that stage in their career, the demands of family and work can be difficult to balance. My husband and I had two big careers, three busy children and felt we needed to make a tough decision. While it wasn’t the best financial decision, we agreed both of us would be happier if I spent more time with the kids, so I took a five-year break. After that, I took a position at the University of Minnesota, which was a good way to transition back into the markets and fulfill my intellectual curiosity. Working with students on an investment fund was a great opportunity for me to get reacquainted with the tight network of mentors at the university from our local investment community. This is how I met the CIO at Prudent Man Advisors where I currently work; we manage money for public entities across the Midwest. My current role as portfolio manager in a small firm is a nice cumulation of everything I’ve learned in the industry. Math was a subject that I enjoyed but didn’t have a clear career path. I was encouraged by professors early in my college years to take the actuarial science path but realized it was more theoretical than I wanted. I preferred an applied math route and switched back to finance I learned about the CFA Program through my undergraduate finance professors and jumped into the CFA Program 1 year after graduation as I was used to studying and it dovetailed nicely with my work. My employer supported me in the process, paid for my exams and offered career potential. I was surrounded by CFAs in the investment department. How did you land your first role? It took a long time to find my first job, which can be true today. Back then the effort was focused on newspaper want ads and sending out resumes by mail. It can be highly competitive and you must be persistent and believe in yourself. I encourage recent graduates to actively pursue their career goals. 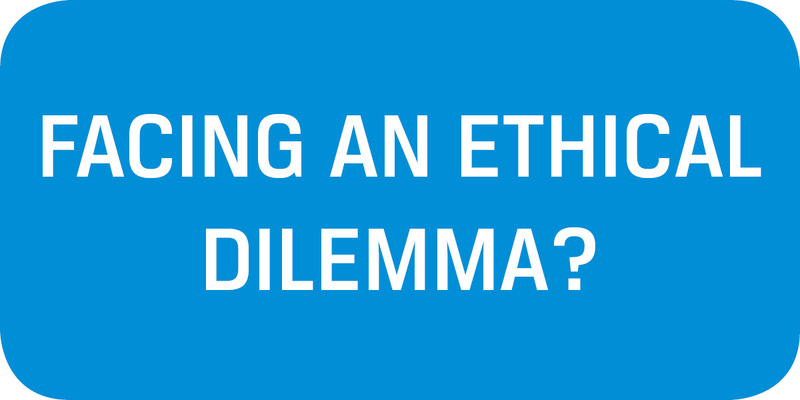 Whatever role you want, put yourself in a position to interact with those involved and do what you can to manage your own portfolio, even if it is hypothetical. Be persistent and continue to learn. You’ll find the opportunity, though it may take time. All of my bosses along the way were influential. Doug Hedberg, CFA at Washington Square Advisors was my main mentor early in my career. He gave me lots of opportunities to try new things. One example was being a young professional and voicing a contrary opinion that high-yield bonds weren’t gone forever after failure of Drexel and Michael Milkenhad caused in the market. It was a way to grow in my presentation skills, embrace that it’s okay to voice an opinion and take some risks. I do feel like it’s a bit of a male dominated field. Early on if you were not playing golf on Friday afternoons with the rest of the leaders you had more challenges. I had clients that preferred a male portfolio manager so there was overcoming some of those gender preference hurdles. The industry can be a bit like a locker room; there’s a lot of culture that stems from a male dominated way of doing business. I was still able to thrive and move forward staying true to my beliefs, morals and values. One of the most interesting aspects of finance is the ability to learn about so many different industries and have an inside view of how the world is changing. Transferring that information into wealth accumulation and risk management for clients so they can achieve their goals is very satisfying. Stepping away from the field and spending time with my family. I wondered if I was ever going to come back and how it would alter my future path. Had I known then what I know now, it would have made the decision so much easier! It worked out just fine. During my break, I managed my own portfolio, went to some CFA meetings, kept my CFA Charter going and stayed in touch with that circle. I think there’s always a door open and an opportunity will arise. I think the key to success is being informed and humble; I saw a lot of people along the way who weren’t long-lasting. Some investment ideas work for a short period but burn out quickly. To have staying power, you need all the things that CFA Charter stands for. If you balance all those things, the financial industry is a great place to help a lot of people and institutions reach their financial goals. We all have to deal with finance in one way or another, it’s a skill-set that transfers well in people’s lives. I think culture is part of it, women not knowing if they’ll fit in. Secondly, it tends to be highly competitive. Hard driving teams are not always that welcoming to women’s typical work style or interests. The industry is also known for some long hours, so it can be a tough work/life balance. Research has proven that the returns of diverse investment management teams out perform those of non-diverse teams. Have you seen this in your experiences? I do think whether it’s gender or other kinds of perspective, groups benefit from that variety. We all come to the table with different experiences and having a diverse team does help. It’s a field where you debate ideas, and the more angles you have, the more developed that thesis can be. Communicating a message is also key to success, and having a professional staff that is reflective of your client base can be very beneficial. Try to spend some time with people in the industry talking to friends of your parents, neighbors, etc. You’ll be surprised how small the world is; someone is always a phone call or two away. Don’t be intimidated, know that the steps in this career path are achievable and attainable. Take the time to build the foundation and follow the path that is most interesting to you. There are many directions the industry and the CFA can lead you. One of the biggest changes is that information is so much more available. It used to take lots of staff to create a financial model for a company. Now we have data downloads and with a push of a button, instantly 10 years of history. You must be a good consumer of information to be able to discern fact from fiction. The markets are faster, there’s less time to gather information (compared to road show days) and to vet ideas. Different skills are required than you might expect; practice writing and speaking, the best investment idea doesn’t get anywhere if you can’t communicate. Developing all of those soft skills will help you go far. This interview was conducted by CFA Society Minnesota’s Member Services Manager, Diane Senjem. When Daugherty distinguishably earned her Chartered Financial Analyst (CFA) designation in ‘86 by consecutively passing the grueling series of three exams, she could not have predicted the path her career was about to take. 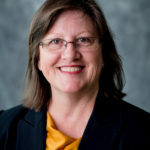 After earning her general business degree from the University of St. Thomas in ‘80 and receiving her Master’s degree in Finance from the University of Minnesota’s Carlson School of Management in ‘82, Daugherty took her first professional position as an equity research analyst for First Trust. This is where she met her mentor, Gerry Bren, who she describes as an instrumental influence on her career. After a six year career developing her skills as an equity research analyst, Daugherty was about to take the biggest risk in her career by leaving not only First Trust, but also the entire industry to pursue a new path. That path being college teaching. When Daugherty gave birth to her first child while at First Trust, she tacked on her company-allotted two weeks of vacation in addition to her six weeks of maternity leave in order to meet the demands of mothering her newborn daughter. However, her boss discouraged her from taking this extra time off as he said, “You are an officer of this company, so you should set an example.” Daugherty took the extra two weeks but did find FedExed documents on her doorstep for her to work on during maternity leave. It was not until she received a call from her husband while on a business trip in New York that she decided to leave her current position and look for a more accommodating career. She learned she had heartbreakingly missed her daughter’s first steps. “Similar to many professional women in that era, I looked for an opportunity that would allow me more flexibility while still staying active in my professional community,” says Daugherty. So, what was the next step? She simultaneously enrolled in a PhD program at the University of Minnesota while accepting a teaching position in the Finance department at the University of St. Thomas. During this time, she proceeded to have three more children and impressively wrote and defended her dissertation on private college endowment management. After six years of “a complete blur,” as she describes it, she earned her PhD in ‘93 and focused on building her consulting practice while also teaching as a professor at the University of St. Thomas. She would go on to receive four awards for excellent teaching awarded by faculty, students and alumni, and has been nominated for several more. Daugherty is known on the St. Thomas’ campus not only as an outstanding teacher, but as a generous, understanding and committed mentor. She says, “I love my job as a professor and do my best to bring out the talents in every one of my students.” Through mentoring, lining up job opportunities and helping students reach their full potential, Daugherty is always eager and happy to help anyone who knocks on her door. How has Daugherty created such success for herself in every aspect of her career, and what advice does she have for others in this industry? Exceptional merit is not the only thing that has contributed to Daugherty’s success, “I don’t even know how to say ‘I can’t’.” She says this trait of insistent perseverance was ingrained into her through her family and mentors. As a mentor herself, she frequently tells her students, “I will always help those who help themselves.” In order to be successful in this industry she stresses the importance of reaching out to peers, taking on new challenges and look for opportunities to learn. Daugherty also strongly encourages young women to consider careers in the financial and investment industry. Presently, while businesses are more willing to accommodate the needs of mothers, she sees the male-dominated culture of this industry as still being prominent. While advising the Aristotle Fund, Daugherty has observed a wider range of ideas and problem solving strategies brought to the table when female and male students are collaborating. She urges more women to jump into the world of finance in order to bring different perspectives into this industry and ultimately bring a change to the current culture. 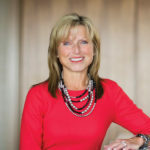 With her 35 years of success in the financial world, Daugherty would give young professionals this specific piece of advice, “Absolutely get a job, any job, and then be the best at that job you can possibly be.” This is certainly how Daugherty has seen such success in each aspect that her career path has taken her. Nevertheless, it is clear to see that, as a professor, she has ended up in a position she is highly skilled at, truly passionate about, and that which provides her an abundance of gratification. She recognizes how fortunate she is to be able to say that she leaves her “office”, her classroom, almost every day with a smile on her face!